A four-day weekend is just what the doctor ordered although it’s easy to be caught like an Easter rabbit in the headlights, suddenly with oodles of free time and bamboozled by just how many things that you could do. 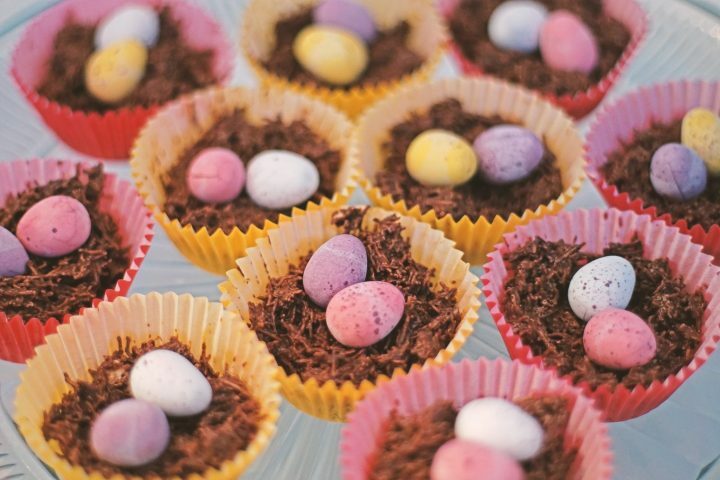 To ease the pressure, here are my top 7 suggestions for Easter activities this weekend. This factory, shop and cafe will be open Good Friday and Saturday and you’ll be amazed at the choice. All made in Herts using Swiss chocolate. I’ve just sampled the salted caramel egg, and it was delicious. It’s a really lovely local business that has been in Hertfordshire for years. Free the chocolate rabbits! Secret Truffletier, 61 London Road, Woolmer Green, SG3 6JE Open Friday and Saturday 9am-5pm. 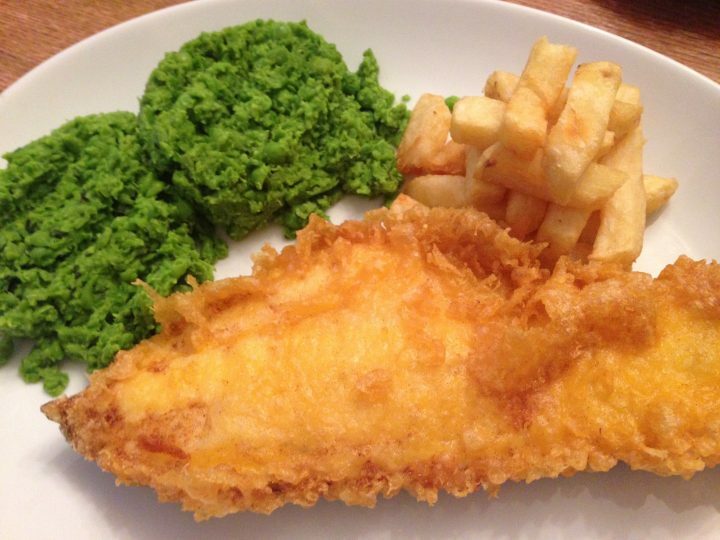 Good Friday is THE day to eat fish and chips so my recommendation is Godfrey’s in Harpenden, the best place (unless you can persuade me otherwise) for fish and chips in the whole of Hertfordshire. It’s in the middle of the high street, in a beautiful building, and every detail is spot on, from the linen (perhaps cotton) napkins to the sustainably caught fish. You can even have halloumi in batter with chilli sauce and the cheese is made in Barnet. The ice cream is also local, as is the beer. The food is fantastic and I love it here. If you’re wondering why there are so few chips in the photo it’s because I asked for four chips. Don’t panic, you’ll get loads! The peas are minted and mushy. Or should that be crushed? Godfrey’s will also be open tomorrow and then on Mon 17 April. Hallelujah! Perry Green is open again, and my goodness, it’s now even better. I went to the press launch of this new exhibition which is incredible. 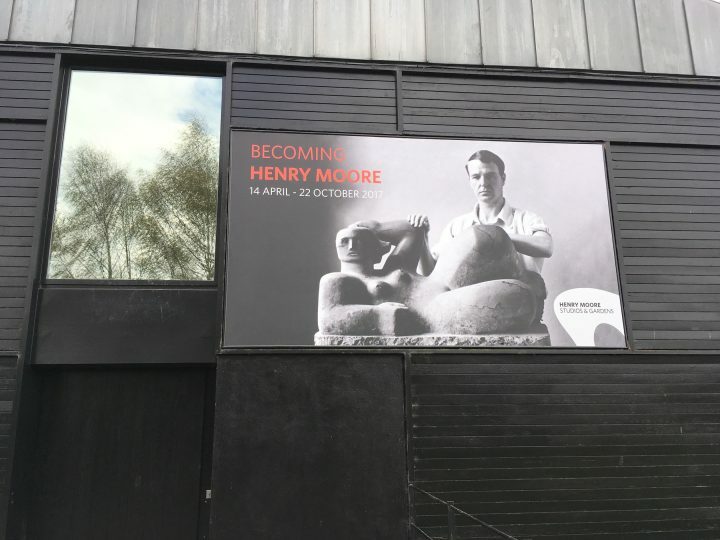 Henry Moore discovered that he wanted to be a sculptor at the age of 11 and the Becoming Henry Moore exhibition gives a real insight into his influences. There’s also a new visitor centre with a new shop and cafe and also an archive. I’ve always loved it here but it’s completely brilliant now. There’s a sense that Henry Moore has just popped out for a minute. You’ll love the view from his desk where lambs come up to the window. And some of the biggest bronzes are in a field full of sheep. Wonderful. Open every day 11am-5pm. Apologies if this needs some explaining. 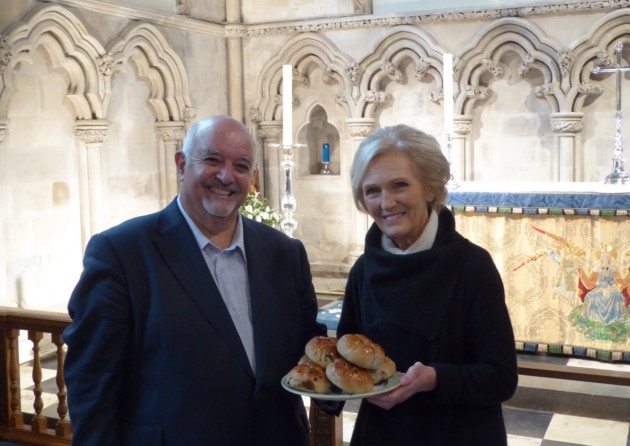 Queen Mary has been to St Albans and she did sample the Alban bun. But this Saturday you can almost do the same. The Alban bun is the original hot cross bun, without piping, and the cross is made with a knife. It was originally baked at St Alban’s Abbey but now they are made at Redbournbury Mill. And they are great. Spicy, slightly higher than a hot cross bun and perfect toasted with butter. The Mill also bakes and sells hot cross buns. And bread. Saturday morning – be quick! They’re out! Still in the early stages, it’s usually not until May that you get the full bluebell shag pile. 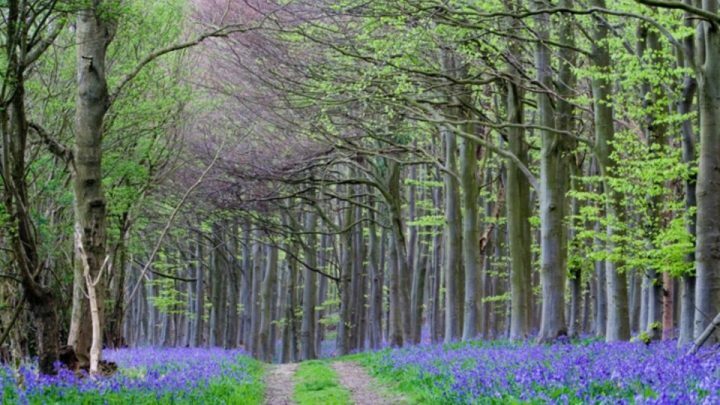 But the Ashridge Estate is a wonderful place for a wander at any time of year and there are loads of activities for one and all throughout this Easter weekend. Home to the Salisbury family and one of the finest Jacobean houses in England, Hatfield House opens again this Saturday. Close to the film studios, it’s always a popular location, and fans of The Crown will be in heaven, spotting which bits appeared in the series. But there’s also so much to see and do apart from the house and gardens. There’s a farm, the stable courtyard is stacked with small shops, together with a fine cafe and restaurant. It’s basically a top day out. Diamonds and chocolate? Are you kidding? Harriet Kelsall has the most amazing jewellery business and she is very community minded and is always holding events outside of business hours. This egg hunt is an annual event and children love it although she does ask that children are accompanied by adults. I’m not surprised! 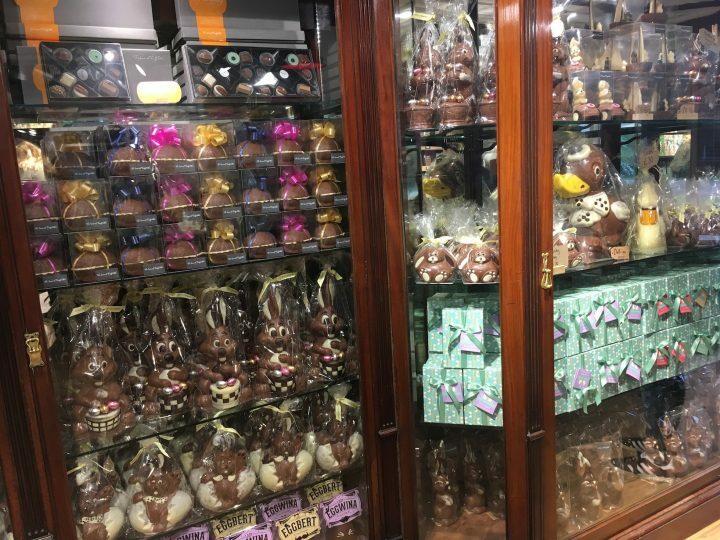 The place is full of treasure – chocolate gems and other kinds. If you haven’t been here before it’s a very special place. You’ll get a real feeling for how everything is made – it’s all bespoke! – and the designers are so brilliant and are on hand to chat and offer advice. Harriet has won many awards and is also a champion for sustainable and ethical business, including the use of Fairtrade gold. Harriet has just gone into the Muddy Herts Little Black Book. Mon 17 April, 10:30am – 3:30pm.